This post brought to you by Renew Life Formulas. The content and opinions expressed below are that of Sidetracked Sarah. 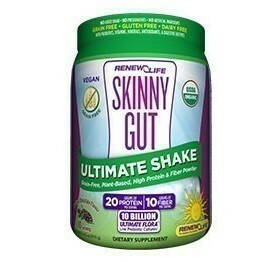 I’m having a great time using Renew Life Skinny Gut Ultimate Shakes! It has become an easy habit to get up and go straight to my blender to begin making my morning shake. Because I’m trying to stay away from sugar most of the time, sometimes I prefer to indulge in more chocolatey type shakes, to give me my chocolate fix. Sometimes, I like it extra chocolatey and add a tablespoon of cocoa powder and a little NuStevia to sweeten the shake a bit more. But other times, the nice pink shade of a Strawberry Vanilla shake gets me excited and makes me feel like I’m having my favorite Strawberry Shake from Sonic….well, almost anyway. LOL. They do, however, make me feel like I’m having dessert for breakfast! When preparing my shakes, I’ve learned to add my powder while the blender is already blending some liquid. That way, the powder doesn’t stick to the side of the blender jar and it gets mixed in nice and smooth. I’ve also learned that I prefer my shakes extra cold, so I always blend ice or frozen strawberries as part of my recipe. Sometimes, I even stick it in the freezer for a while for an extra frosty treat. Place almond milk and frozen strawberries in blender and blend on high for 30 seconds to a minute. After it is nicely mixed, add your scoop of Skinny Gut Shake Mix while the blender is still running. Let it mix together well for another 30 seconds or so. Pour into your glass and enjoy! Place almond milk and frozen strawberries or ice in blender and blend on high for 30 seconds to a minute. After it is nicely mixed, add your scoop of Skinny Gut Shake Mix, cocoa and peanut butter while the blender is still running. Let it mix together well for another 30 seconds or so. Taste. If you’re a dark chocolate lover, this may be plenty sweet for you, but if you prefer your chocolate sweeter, you may need to add a little bit of NuStevia to make it just sweet enough. Pour into your glass and enjoy! That’s it! These shakes are super easy and so delicious. Next week, I’ll share just how I’m doing on this program and if I’ve noticed any changes in my health…so stay tuned! 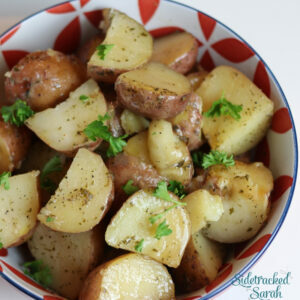 And as always, if you have a little weight to lose and would like to join me on my weight loss journey, please do in our Facebook group called Sidetracked by Weight Loss! 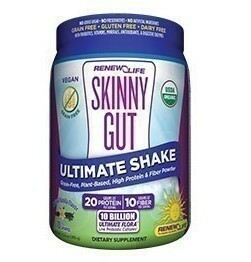 You can also follow the Skinny Gut conversation by following hashtag #SkinnyGutShake on Facebook and Twitter.